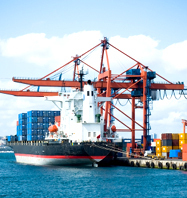 Our clients are experts in handling imported and exported freight. AWCO and our import/export partners help you move any items into or out of the country, including fragile, perishable, heavy, frozen, hazardous and other specialized materials. Your products are safely braced, supported, marked and packaged, so they are ready for distribution in the country or overseas travel abroad. Ship easily to or from nearly any country in the world and ensure your items are efficiently managed on both sides. We have clients receiving and shipping orders near every inland port city in the U.S.A., Canada, Mexico and Puerto Rico, with access to every ocean and shipping path. Freight can be floor loaded, palletized or specially handled, and our clients pack each order according to proper trade laws of the sending and receiving territory. Our clients help businesses navigate the complex system of international trade and make it easy to enter multi-national business. To diversify into global markets or expand into international goods, contact us today to set up import/export freight management partners.